A floral flock tulle dress in Rose. The tulle is layered over a coordinated coloured fabric, and is enhanced by a silk band and bow shaped sparkly brooch at the waist. The dress dips to a pretty V at the back. Comes with generous integral petticoat and covered buttons. 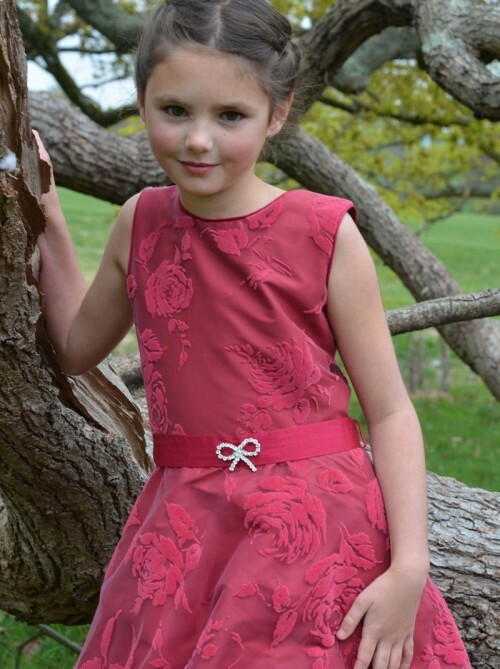 Perfect for flower girls, bridesmaids and parties. See how to tie the perfect bow with our video here.